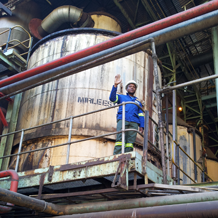 To deliver a sustainable profit by selling quality products produced from a sustainable cane supply that sustains USM jobs in a safe environment, fosters team spirit and sustains indirect jobs and alleviates poverty in and around the Mtubatuba Local Municipality. 1. CANE QUALITY: to have the best cane quality of all the coastal mills. 2. 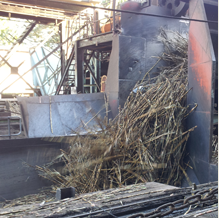 CANE CRUSH: to crush at least 1.20 million tons in 36 weeks with an LTA of less than 8%. 3. SUGAR RECOVERY: to achieve a 94.5% sugar to RV ratio. 4. SUGAR BAGGED: to sell 80’000 tons of FSSC sugar on the local market that is within customer specifications at optimum margins. 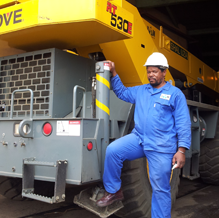 5. BUSINESS SYSTEMS: to reduce the Rands per ton of sugar made through continuous improvement in asset management, LEAN manufacturing, automation and training.